Few cocktails are as simple and easy to prepare as the Gin & Tonic and the English staple is utter perfection when done right. Little tweaks here and there can markedly change its flavour profile. Here is our take on this super refreshing little number. A gin and tonic is a highball cocktail made with gin and tonic water, poured over ice. It is usually garnished with a slice or wedge of lime. This cocktail was introduced by the army of the British East India Company in India in the early 19th century. With malaria present in India, it was discovered that quinine could be used to prevent and treat the disease, although the bitter taste was unpleasant. The British officers took to adding a mixture of water, sugar, lime and gin to the quinine in order to make the drink more palatable. Simple, delicious and even refreshing. Gin is matured with juniper berries as well as herbs and spices called botanicals to add a pleasant fragrance. The tonic is bittersweet, so imagine those flavour profiles intermingling, in addition to a twist of lime. 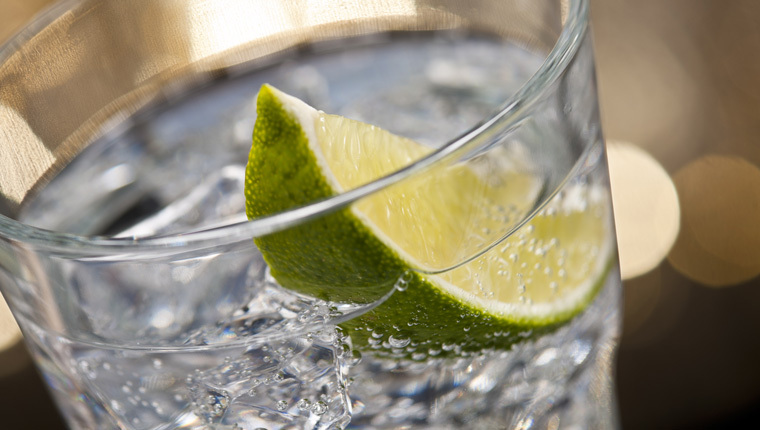 For a simple twist on an old classic add some cucumber to your Gin & Tonic instead of lime. The subtle flavour of the cucumber blends perfectly with the juniper berry flavour of the gin.